In Barbados Martial Arts is just as popular as any other sport, such as Karate, Tae Kwon Do, Kung Fu and Tai Chi…some people have even thought about trying out a class. But have you ever actually done it? Do you need a reason? Just about everyone has thought about taking up a martial art at some point in time and if you do there are plenty to choose from in Barbados. Maybe you want to do it as another way to stay in shape. Possibly as a means to protect yourself from the school bully. There are hundreds, if not thousands, of reasons why people choose to take up an art, but I want to take a second to outline what I feel are the most important reasons to at least try a martial art. Maybe it’s for yourself, maybe it’s for your children…whatever the reason, all martial arts contain a unique wealth of knowledge and discipline that you simply can’t get anywhere else. My hope is that this article will inspire you to get out of your chair and into a school to see what martial arts is all about. As you train in Martial Arts, you will notice a lot if improvements, such as your physique, balance, awareness, flexibility, and many other physical and mental characteristics. 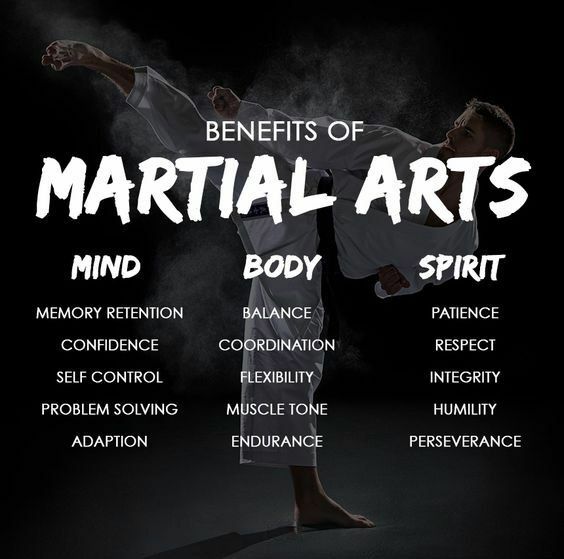 Martial Arts will teach you how to combine these capabilities and use them to succeed in competitions, attaining higher belts, building friendships and protecting yourself if necessary. The more you can do, the more confident you will be. One of the most common reasons to study martial arts is to learn how to defend one’s self. A number of schools may dedicate class time and/or offer a scheduled class that strictly goes over self defense tactics. Also, depending on the MA style or school, self defense can be a large part of the curriculum, which can be beneficial to those interested in “applicable arts” (arts you can use in everyday life) as opposed to “traditional arts”. Webster defines self-discipline as the “correction or regulation of oneself for the sake of improvement”. Whether it be trying to make a high school team or meeting company deadlines, once you learn the focus necessary to succeed in Martial Arts you can apply it to the rest of your life. Success is mental, and Martial Arts will teach you the self discipline necessary to succeed at anything you put your mind to. Martial arts does require a lot of hand, foot, eye, and mental coordination, but all of this is developed over time. If you consider yourself as an uncoordinated person, training in the martial arts will help you grow those skills. You’ll be amazed what your body is capable of doing! Even if you are a natural athlete, standing on one foot, while kicking with the other, and blocking with your hands is quite difficult and involves coordination. 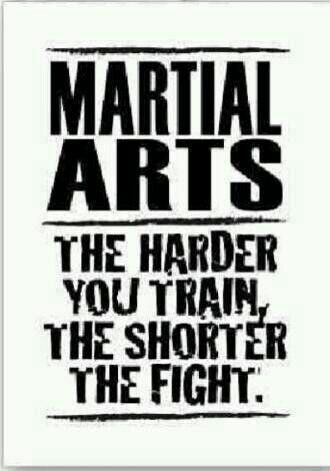 Martial Arts does not have to focus only on fighting or self defense as some styles are based more on fitness. Tae Bo and Tai Chi are two examples of this. 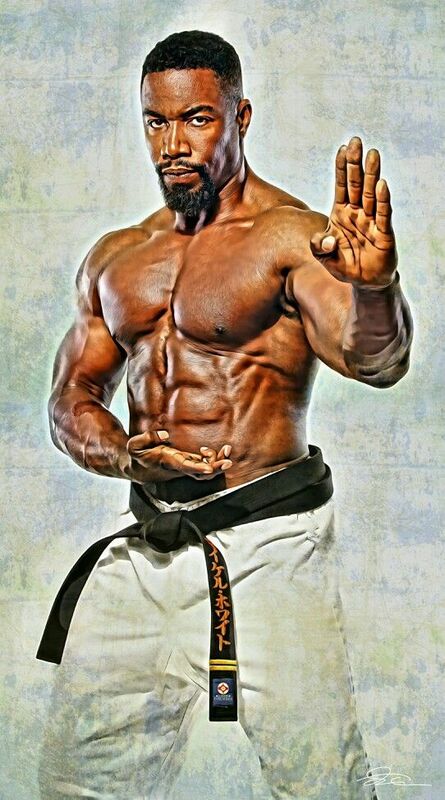 However, those with an interest in the fighting & self-defense aspects of Martial arts will find their fitness levels quickly increasing as training not only develops various muscle groups, but flexibility and balance as well. One’s level of fitness can be just as important in winning a match as one’s skills and abilities. Most people don’t know that this is an excellent way to spend time together with your family! Some martial art schools allow families to train together and others separate classes by age groups. Regardless of how classes are segregated, families find themselves enjoying the time spent together. It is not unheard of having a family all test together for various ranks and black belts. Many martial art schools structure their classes into three age groups: Kids – usually ranging from about 5 to 11 years old, Teens – 12 to about 16 or 17, and Adults – usually starts at 18, but some schools make exceptions when necessary. Some schools also offer a “Little Dragons” program geared towards the 4 – 6 year old crowd. Age groups are then broken down into belt ranks allowing you to train with people that are relatively of equal skills and age. Often times people who begin Martial Arts together will develop a bonding friendship and even obtaining their black belts at the same time because they pushed one another during their tuff times. Remember that there are thousands of martial art styles. Chances are there is a style and a school perfect for you no matter what your reasons are for trying it out. The history of Karate is a long and meandering path of development, across seas from Japan and Okinawa, through the heart of long-ago China and over the mountains into ancient India. For many karateka training in a traditional, style, there is a certain satisfaction in making a connection to the past through training as their predecessors trained (or close to it) and, by observing tradition, carrying on values and practices still considered useful and important. But what is traditional? Through the ages, Martial Arts has undergone many changes: they adapt to new circumstances, they branch-off and are altered, they are lead by new people. Others die with their inheritors. In the end, what we have may be likened to the message in a game of Chinese whispers; altered from its origins by so many people that any obvious links to its beginnings may be hard to find. Many know Okinawa, an island 550 kilometres south of the Japanese mainland, as the birthplace of karate. But let’s look first to Japan, considered home to most karate systems existing today. Karate is now practiced in an estimated 120 countries and takes many forms. Of these, some of the most famous were founded in Japan after World War II, prominent examples being Mas Oyama’s Kyokushin and Choiro Tani’s Shukokai. At the same time in Okinawa, the dominant schools (Ryu) were Shorin-Ryu, Goju-Ryu, Uechi-Ryu and Matsubayashi-Ryu. Although there had been karate demonstrations outside Japan in the late 1920s and ’30s, it was in the post-war years that karate arrived in European and Western countries like Australia. The Japan Karate Association, formed in 1948, assisted in spreading karate world-wide. In the early ’20s, Funakoshi impressed Japan’s Crown Prince with a karate demonstration and his art was later given support by Judo’s famous founder, Jigaro Kano, securing karate’s acceptance by the Japanese. 6 – The cemeteries in Barbados are full of dead heroes. Don’t add to their number. Run if you can. There is no shame in avoiding a fight. In fact, running away is smart. For Barbados I don’t have the stats but in the USA, every two minutes a woman is being raped. Please feel free to share this safety list to every woman you care for.